For reference, this two bedrrom apartment has one double bedrrom and one single bedroom. The apartments feature a fully equipped kitchen with a dishwasher and washer/dryer. The living areas have a flat screen TV with Freeview channels and a DVD player. 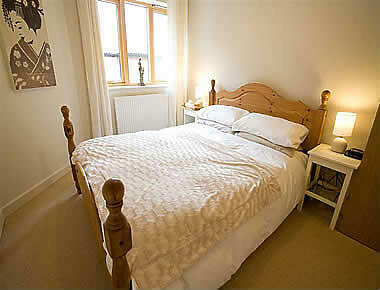 Maid service is provided once weekly and free wireless internet access is available. The apartment building has a secure gated entry.